The last weekend of summer has come and gone. And what a weekend it was! The weather was magnificent and a reminder of what we won't be seeing until summer comes around again. Is it just me or do the summers fly by more and more quickly each year? The impatiens still look pretty good although some of our neighbors have pulled theirs out in favor of the fall-colored mums. I'm not in any hurry to shorten what remains of summer. My impatiens are staying as long as they look vibrant and well, happy. I've still got my sandles on and even when I retire those for the season, I still find socks pretty much unnecessary. As for the summer reading pile I must admit that while I've made a dent, there are still many more that I'd like to get to. The good news is that the summer reading pile can easily become the fall reading pile! So here I am trying to get some work done and I have taken a box of melba snacks to keep me company. Melba snacks -nothing really great...just melba! All my pal, Ari, has to do is hear the slightest hint of a box being opened with those huge ears of his and he's right there. At your side - ready for whatever he can get. He's not shy about it either. He'll sit there nicely hoping to be offered something....anything. When (if) that doesn't happen he'll be more direct. He'll bark. Then bark again. So, of course, I give in. I share. But I really don't want to. I know it's not good for him. I'm more careful about his eating habits than I am with my own. (okay, it's not always a melba snack I'm after) I suppose my friend is a good reminder to only have a few of something because who wants to listen to that insistent barking? Right now he is resting on the couch in my office- he's content. 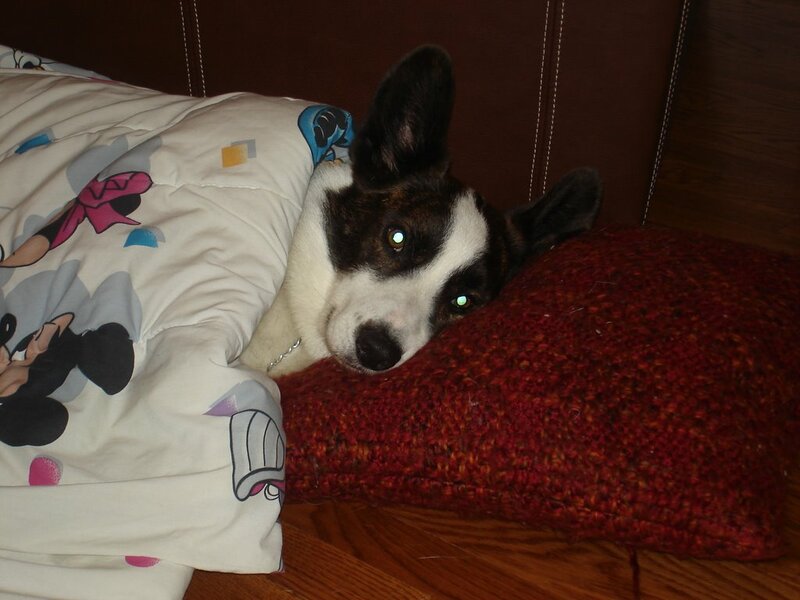 He might even fall asleep. I won't be fooled - if he even so much as senses my movement towards that box he'll be right here by my side. My friend. **Just confirmed!! 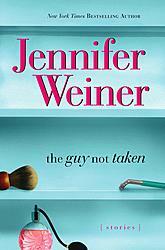 Jen will be my guest on Saturday, October 7th to talk about her latest - The Guy Not Taken. Jen is lots of fun and I always look forward to her appearances on the show. This time, I'm going to share! If you would like to come into the studio on Saturday, October 7th and take part in the conversation send an email to me at robin@readingwithrobin.com. I will announce my co-hosts in a couple of weeks. Good luck! 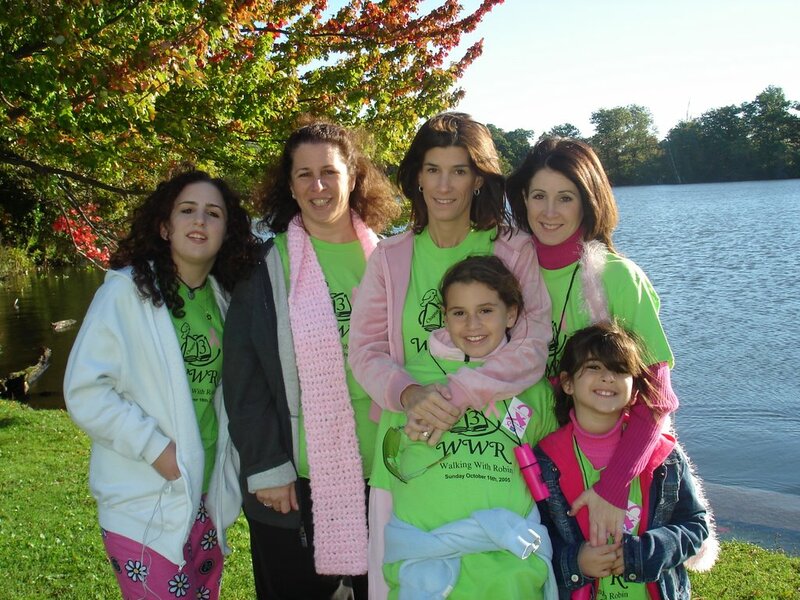 Sunday, October 22nd ACS MSABC-Walking With Robin! Hi Everyone!Summer is ending :( and the fall events are beginning :)! !Now that we're "back-to-school" I am gearing up for this year's Walk! Walking With Robin...Chapter 4 will be there. I hope you'll be able to join us! You can create your own page within the Walking With Robin page and have people make donations there (as I'm doing) but if you'd prefer the donation sheets, just let me know and I'll mail them out to you. As always, I will have special "Walking With Robin" shirts for everyone who walks so please let me know if you'll be joining us that morning so I'll have enough. If you'd like to make a donation and would like a shirt (but cannot join us) please send me an email robin@readingwithrobin.com and I'll put one aside for you. I so appreciate everyone's support through all these years. Making a difference and getting the word out is something positive to do in the face of this horrible disease and all of the people who are touched by it.